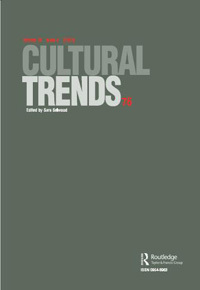 Gadwa Nicodemus contributed “Fuzzy Vibrancy” for a special issue of the UK-based journal Cultural Trends. The article introduces international audiences to creative placemaking as a major new US cultural policy and funding trend and contextualizes it within past patterns of arts-based economic and community development. Through an analysis of policy rhetoric and a sample of initiatives, it explores the interplay between policy and practice. It focuses on the challenges of a tendency towards “fuzzy concepts” within policy development. “The Arts, Consumption, and Innovation” explores the limitations of the dominant theory that exports drive overall city and regional economic growth. Using the context of arts and culture, it offers a complementary consumption base theory. It argues that incentives for capacity expansions of locally-oriented arts enterprises sustain jobs and incomes through four means. First, these enterprises offer residents opportunities to spend more of their discretionary income locally. 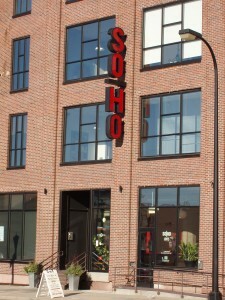 Second, they provide a testing ground for artists and art works that later expand into export markets. Third, such incentives nurture organizations and occupations that re-spend high shares of income locally. Last, they help attract and retain residents, entrepreneurs, firms, and workers in non-arts sectors. By exploring variation in nonprofit arts and cultural activity across California regions and cities, the chapter probes the evidence for and against export vs. consumption based growth theories. By Ann Markusen, Anne Gadwa Nicodemus, and Elisa Barbour. 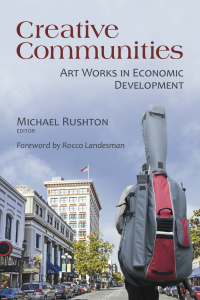 A contributed chapter for Creative Communities: Art Works in Economic Development (Brookings Institution press, 2013). Hailed as “gentrification shock troops,” the perceived link between artists and gentrification is staunchly entrenched in the public imagination. In an article for Createquity.com, Anne Gadwa Nicodemus takes an unflinching look at complicity in neighborhood change and displacement. Substantive commentary exposes sticky myths and probes slippery realities. 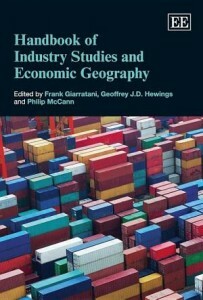 In their contribution for the Handbook of Industry Studies and Economic Geography, Ann Markusen and Anne Gadwa Nicodemus argue that researchers and economic developers should shape regional job creation strategies by analyzing what workers do (occupational composition) as well as what they make (industrial composition). They document considerable variation in the occupational structure of specific industries across cities and regions, especially for innovative sectors such as high-tech, creative/cultural, business services, and information. Markusen and Gadwa Nicodemus speculate that on the causes of these patterns; they suggest that actors other than employers’ job offers or industrial agglomerations shape workers’ location choices, especially in high (artists, tech specialists) and medium-skilled (e.g. truckers, construction) occupations with high rates of self-employment. Their evidence includes an analysis of cultural industries and artist occupations for a subset of large US metros, and they innovatively define cultural industries as those with high concentrations of artistic occupations. 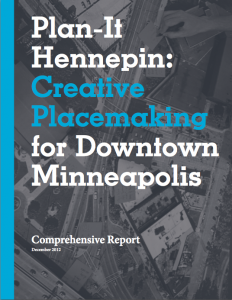 Metris Arts led the development of a local indicator system to support Plan-It Hennepin, a year-long creative placemaking initiative to re-imagine Minneapolis’ Hennepin Avenue as a revitalized cultural corridor from the Sculpture Garden to the Mississippi River. Through Track-It Hennepin, stakeholders will monitor progress reaching long-term goals. 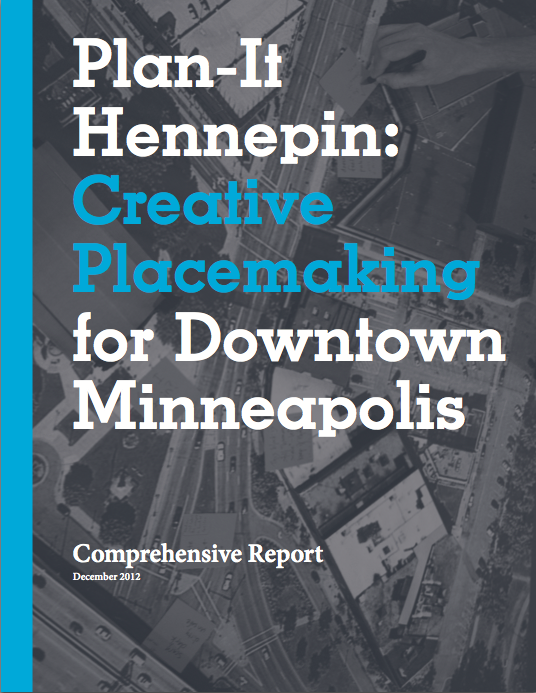 Plan-It Hennepin is led by partners Hennepin Theatre Trust, Walker Art Center, Artspace and the City of Minneapolis and funded by a National Endowment for the Arts “Our Town” grant. 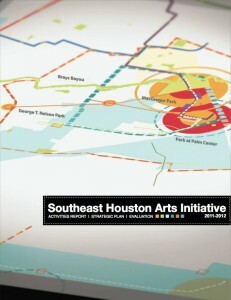 Cutting Teeth explores lessons learned through the Southeast Houston Arts Initiative, which sought to create a unified vision for Southeast Houston by bringing together artists, architects, graphic designers, civic stakeholders, and area residents. This in-depth evaluation looks candidly at challenges and successes throughout the process, and initial impacts. Commissioned by the University of Houston. This case study can strengthen other “creative city” initiatives by revealing how a cultural plan lent gravitas to “creative capital” branding. 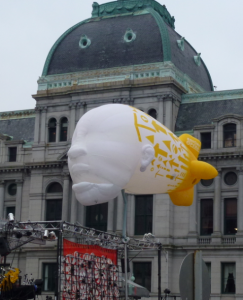 Politically savvy leaders with diverse talents and skill sets, a thoughtfully crafted planning processes, and robust and inclusive public participation proved of critical importance to Providence’s cultural planning effort. Commissioned by the Hong Kong Institute of Contemporary Culture for the Chinese Creative Industries Forum 2012. 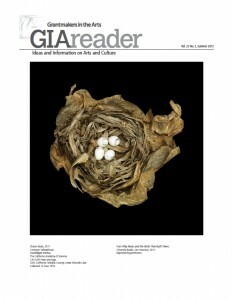 In an article for GIA Reader, Anne Gadwa Nicodemus unpacks creative placemaking today: our rapidly evolving understanding, major policy shifts, challenges around evaluating impact and equity concerns, and opportunities ahead. The How Artist Space Matters reports reveal art spaces’ benefits to artists’ careers and communities, including boosts to safety, livability, tax rolls and property values, and anchoring arts districts and expanding arts access. 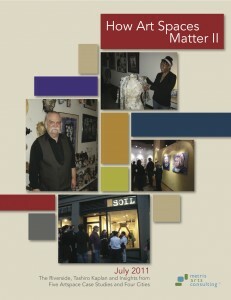 How Art Spaces Matter II (2011) integrates findings from four cities and five case studies (artist live/work and studio buildings and mixed-use projects), with detailed analyses of the Tashiro Kaplan Artist Lofts (Seattle, WA) and Riverside Artist Lofts (Reno, NV). 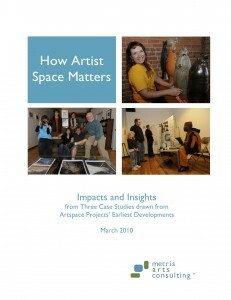 Its predecessor, How Artist Space Matters (2010) addresses long-term impact and sustainability through in-depth case studies of three early Twin Cities artist spaces: the Northern Warehouse Artists’ Cooperative (St. Paul, MN), the Tilsner Artists’ Cooperative (St. Paul), and the Traffic Zone Center for Visual Art (Minneapolis, MN). They offer tangible lessons learned on what factors influence successful outcomes, so that developers, city officials, funders, and arts communities can create stronger art spaces with wide-reaching impacts. Commissioned by Artspace Projects, a leading nonprofit real estate developer for the arts, with support from Leveraging Investments in Creativity (LINC) and Bush Foundation. California’s Arts and Cultural Ecology provides fresh insights into the California nonprofit arts sector and the people who take part in it. Key findings include that the state stands out because of the avid participation of its people, the diversity and abundance of its arts organizations and the varied regional characteristics of its arts sector. California’s regions reflect distinctive populations, participation rates, numbers and types of arts and culture organizations, and levels of arts funding. 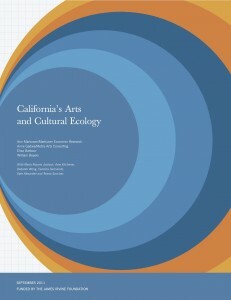 To reveal the significant role that arts and cultural play in the daily lives of Californians’, the research team integrated qualitative interviews and a range of data sources (California Cultural Data Project, the National Center for Charitable Statistics, the American Community Survey, and others). Commissioned by the James Irvine Foundation. Creative Placemaking explores the livability and economic development outcomes of creative placemaking, whereby cross-sector partners strategically shape the physical and social character of locales around arts and cultural activities. 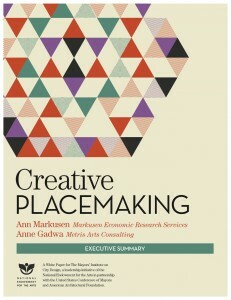 The research summarizes two decades of creative American placemaking, drawing on original economic research and case studies of path breaking initiatives in large and small cities, metropolitan to rural. The report is a resource for mayors, arts organizations, the philanthropic sector, and others interested in understanding strategies for leveraging the arts to help shape and revitalize the physical, social, and economic character of neighborhoods, cities, and towns. A white paper for The Mayors’ Institute on City Design, a leadership initiative of the National Endowment for the Arts in partnership with the United States Conference of Mayors and American Architectural Foundation. Published in a special issue of the Journal of Planning Education Research dedicated to art, culture and economic development. The most downloaded JPER article in 2010 from all articles published in 2009 and 2010, it is also one of nine selected for publication in a special Chinese edited volume that highlights the best of recent JPER articles. “Arts and Culture in Urban and Regional Planning: A Review and Research Agenda,” argues that most city cultural planning exercises do not have clear and measurable goals, do not understand either the causal relationships involved or institutional and design alternatives, and do not have access to studies that clarify the impacts, risks, and opportunity costs of various strategies, investments, and revenue and expenditure patterns. We review the state of knowledge about arts and culture as urban/regional development, exploring norms, summarizing the evidence on causal relationships, and addressing stakeholders, bureaucratic fragmentation, and citizen participation in cultural planning. The paper also examines designated cultural districts and tourist-targeted cultural investments as special cases. 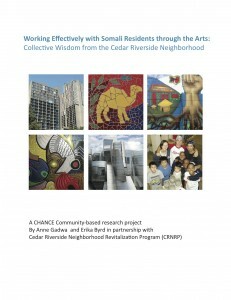 A study examining how the nonprofit, commercial and academic arts sectors can work more effectively with a large concentration of Somali residents in the Cedar Riverside neighborhood in Minneapolis. Metris' Anne, Rachel, and Susannah will be attending. Metris' Rachel Engh will be attending.